Is Radio Missing the Mark in Podcasting? Radio and podcasting are similar in many ways. But they also have drastic differences that we can help broadcasters understand at this year’s National Association of Broadcasters (NAB) Show. Along with a handful of other podcasting companies in the Podcasting Pavilion, we’ll be working hard to assist radio executive and creators in building a new digital strategy around their content in order to make the most of both of these complementary platforms. In its original form, radio was news and storytelling: there are even sites dedicated to the upkeep of the original radio series of old. But, times have changed and the storytelling of old is now largely regulated to modern audiobooks. There is huge interest in deploying podcast at radio stations, but that interest often conflicts with the traditional linear radio programming model. The answer: view podcasting and radio as complementary, instead of competing, audio platforms. Almost everything of significance within a community is broadcast to the masses who are tuned-in during drive time. The interview with the college coach, local sports highlights, a rock band making its debut, food events, you name it – radio’s local focus makes live content an important part of any community. But increasingly, todays’ listeners also seek out – and are accustomed to – on-demand content that they can stream or download and listen to whenever and wherever they like. The best strategy, then, is not a matter of either/or, but of carefully planning to make the most of each kind of audio consumption. Live, local broadcasts, combined with some original content, can keep digital listeners engaged beyond the range of the radio transmitter. And best yet, this approach allows radio stations to build their brand, instead of getting lost in an app with 1000’s of others. The radio station’s website can become the default go-to page for local content that listeners can subscribe and listen to on demand. Radio-to-podcast isn’t as simple as just dumping an entire program into one episode. No one wants to listen to a podcast composed of three hours of morning drive – in fact, that is the absolute last thing a station should do. But short segments of content that keep listeners tuned in are the same kind of thing listeners will consume on their own time. By using the power of broadcast to promote the podcast, and the podcast to promote the radio station, the two mediums create a symbiotic relationship that can lead listeners to cross over in both directions. Radio needs to become a key voice in this consistently-growing medium, and podcasting companies like Blubrry have the tools and services to help stations take off quickly — at price points that will not require an executive meeting. The Blubrry team has been working with radio networks for at least three years, advising them on how to implement successful podcasting strategies for their digital networks. With our guidance, radio networks can implement successful strategies that allow the two models to complement each other. We’ll see you at NAB soon, so contact us if you’d like to schedule a meeting to help you hit the mark in podcasting. We regret that Friday, Dec. 29, at 8 a.m. through Sunday, Dec. 31, at 12:30 p.m., we had an outage that resulted in some loss of stats data for customers who do not host with us. We deeply apologize. We detected the outage early on and put in place what we were confident would be a fix. But that did not resolve the issue. When new data did not start processing when expected, we dug deeper. First and foremost we have removed the hardware that failed and will be doing a detailed investigation into the cause of the failure. We will also be looking at why our initial fix did not result in complete recovery. We are now running new hardware for such a server failure, and data collection and processing have been restored. You have my guarantee that we will get to the bottom of this, and put in place whatever is required to make sure that this never happens again. For podcasters hosting with us, we will be able to restore your stats data, but this is going to take a few days as we need to pull the log data from a separate source and process it into the system. We will provide you a refund of $5 for your stats portion of your bill for December on request at support@blubrry.com. For podcasters who do not host with us and are Pro-Statistics only customers, we will work with you and provide the estimate for download data based on the data we have. We will also refund $5 of your pro-stats payment for the month on request at support@blubrry.com. Again, we apologize. This is not the way we wanted to end the year, and you have my guarantee that our team is hard at work, dedicated to a permanent solution and to maintaining your trust. (Columbus, Ohio, Nov. 6) — Blubrry, a subsidiary of RawVoice, is proud to announce the acquisition of the leading podcast RSS-feed validator, Cast Feed Validator. The move will provide consistency to podcasters, improve up-time of the site and allow for tech and hardware upgrades to the site. It has also acquired PodcastingPlugin.com as part of the package from The Software Group. Todd Cochrane, RawVoice/Blubrry CEO, stressed that other than upgrades, the site will remain intact and a free resource for the entire podcasting space. “We purchased the site to make sure it is around for the long haul, and there are no immediate plans to change the site,” he said. Validating a podcast feed is something everyone in podcasting has to accomplish periodically. Podcast feed validation helps content creators and podcast support teams find and resolve issues that can cause sites and apps to be unable to process feeds. 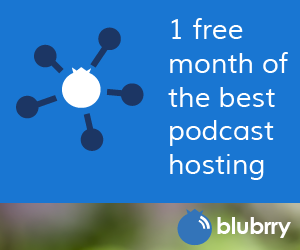 Blubrry is a podcasting community and directory with more than 450,000 shows. Blubrry gives creators the power to make money, get detailed audience measurements and host their audio, video and websites. Whether you are a media creator, advertiser or media consumer, Blubrry is your digital media interface. Survey data collected by Blubrry indicated that listeners are relatively young and educated. Mandato’s presentation indicated that men listen to more podcasts than women, 72% compared to 28%, and that most listeners, 33.68%, are in their late twenties or early thirties. 21.74% of survey respondents fell between the ages of 36 and 45, making that the second-largest age demographic of podcast listeners. Most listeners (27.27%) earn between $40,000 and $74,999, with 24.91 % of listeners earning between $0 and $39,999 per year. Overwhelmingly, listeners have at least a high school diploma (98%) with 80% having earned some kind of degree. Comedy still dominates as the most popular niche, with Sports and Recreation, TV & Film, News & Politics, and Society & Culture the next most-popular topic areas. Kids & Family brings up the rear as the least-popular podcast topic, possibly indicating plenty of room for growth in the future. Blubrry’s highly-detailed statistics indicate that approximately ½ of web browser traffic is coming from mobile devices, while nearly 63% of podcasts are consumed via mobile apps. iOS still dominates, with 57.1% of all podcasts being listened to via the Apple Podcasts app. We predict that desktop browsers will level off at 5% (currently at 6.8%, down from 13% in 2013) and that, by 2020, Android market share will be 35%, iOS about 55%, and the remaining 10% will be spread across browsers and niche devices like Alexa, Google Home, and Smart TVs. Will Podcasting Continue To Grow? 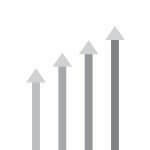 The last 10 years have shown explosive growth in podcasting, and tremendous opportunity as well. While there are currently over 425,000 podcasts available today – that’s 300% more than in 2007 – only 30% of those shows have released episodes in the past 3 months. With listener consumption up 500% since 2007, now’s the time to jump on board the podcasting trend if you haven’t already – or, revive a show that’s fading and commit to consistent and frequent publishing from now on. This is just a sampling of the data shared in Mandato’s presentation – you can read the whole thing here. MacKenzie had the pleasure of speaking with Brian Dunning on the podcast this episode. He’s been a podcaster for over ten years now and they discuss just what makes his podcast, Skeptoid, stand out from the rest. Have you heard the latest podcast listener numbers? Before this podcast was recorded we got some great news that monthly podcast listening has increased from 17% to 21%. We’ve included a link for more detailed information about this below, but for a preview — weekly listening has increased from 10% to 13% and 36% of Americans people have listened to a podcast. Thinking about attending Podcast Movement? Use our affiliate code Blubrry to get $40 off your ticket! Thanks for listening! For the past 11 years, RawVoice / Blubrry and other leading companies in the podcasting space have worked tirelessly to provide accurate reporting to podcasters and media buyers. The “Wild West” statement in the document is so egregiously false that RawVoice / Blubrry is asking the coalition to retract the language, and publicly recognize those who have successfully championed meticulous, rigorous and precise podcast reporting. RawVoice / Blubrry is a podcast service provider that offers a full line of services, including podcast hosting, statistics and podcast advertising opportunities. Today 35,000 active podcasters and many major podcast networks use RawVoice / Blubrry Podcast Statistics. 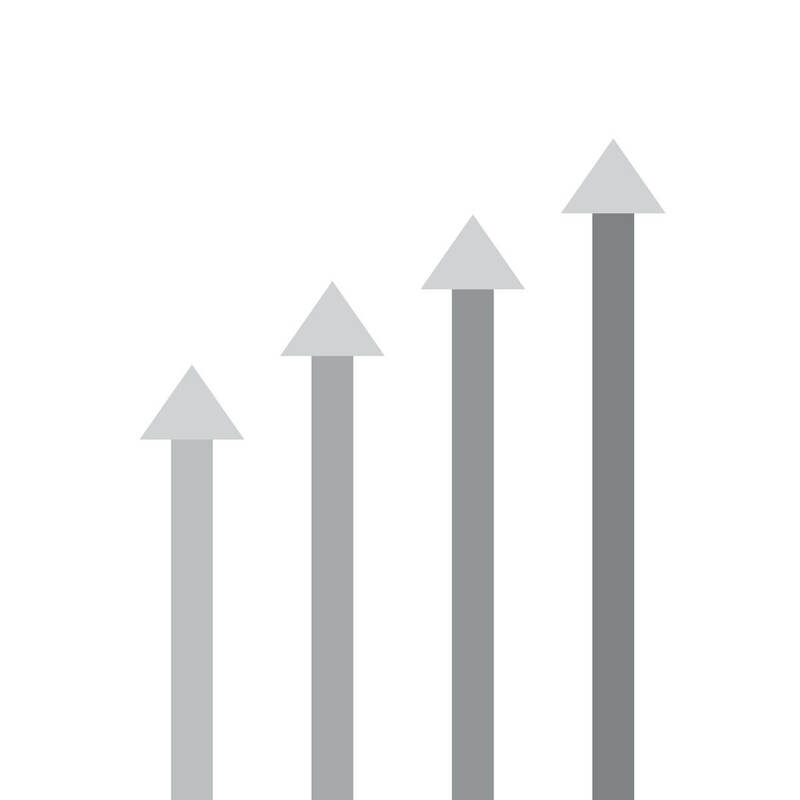 In 2008, RawVoice CIO Angelo Mandato led the former Association of Downloadable Media to develop the industry’s first podcast measurement standards. These standards are the foundation of the RawVoice / Blubrry podcast metrics system today. RawVoice / Blubrry is also a member of the Interactive Advertising Bureau (IAB) and actively participates in ongoing podcast measurement committee work: Mandato has been instrumental in shaping the language in the forthcoming IAB podcast measurement guidelines document. Upon reviewing the Public Radio Podcast Measurement Guidelines document, the RawVoice / Blubrry team determined that it follows many established protocols. Several protocols and standards mentioned in the document were established by RawVoice / Blubrry and other industry leaders. 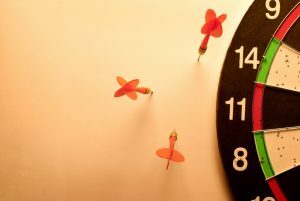 CIO Angelo Mandato stressed that RawVoice / Blubrry meets and exceeds these standards in areas where the coalition’s analysis falls short, and the RawVoice / Blubrry metrics system will hold true to the toughest scrutiny in the industry. Cochrane said the RawVoice / Blubrry teams will continue to work closely with the IAB podcast measurement committee, which will later this year publish podcast measurement guidelines. Those Media Buyers / Reporters / Podcaster looking to get a deep understanding podcast measurement are encouraged to review a recently deep dive into podcast measurement that the RawVoice / Blubrry team produced. Podcast statistics are not a deep mystery, but some would like to think they are. Todd Cochrane, CEO, and Angelo Mandato, CIO, of RawVoice / Blubrry recently spent some time doing a very deep dive on Blubrry Podcast Statistics. This is an in-depth behind-the-scenes look at how Blubrry Podcast Statistics measure and filter every podcast downloaded / live play delivering an accurate report to our podcasters, network customers and media buyers. This deep dive video, while long, is perfect training for podcasters, reporters, media buyers and anyone else in the media space that wants to understand how podcast statistics work. RawVoice / Blubrry has 11 years of experience in podcast measurement. Our team has led and participated in the podcast metrics standardization, with the current IAB Podcast measurement committee, and chaired the prior Association of Downloadable Media measurement committee. If you have questions on this video, or would like a question answered, feel free to email ceo@rawvoice.com for any inquiries. Blubrry has collaborated with Triton Digital to create a private WordPress plugin that integrates the PowerPress Podcasting Plugin with Tap, Triton’s customizable advertising platform designed to help publishers monetize audio content. The plugin, designed for Blubrry Professional Podcast Hosting clients, allows our customers to leverage Triton’s Advertising Platform to seamlessly streamline operations and monetize audio content while using PowerPress’ powerful publishing tools. “We are pleased to partner with Blubrry to offer podcast producers and publishers with the tools they need to scale their audience and increase revenue,” said Hugo Martel, Product Manager at Triton Digital. Broadcasters, podcasters and digital music services of all sizes are encouraged to reach out to RawVoice / Blubrry or Triton Digital to learn more and request a demo. Blubrry remains committed in providing all our clients with tools that allow them to grow their shows and build sustainable business. Today RawVoice / Blubrry announced the integration of the Clammr WordPress Plugin with PowerPress as a social-sharing option for podcast audiences. Clammr is an application that provides bite-sized audio clips that highlight what audiences need or want. And now Clammr has an add-on plugin for the Blubrry PowerPress plugin that helps audiences cut through the noise and find great audio whenever they wish. Clammr Audio Sharing Plugin is embedded within the Blubrry player and allows podcasters and listeners to share a segment of their audio on social networks. Web-based users now have the same features as those that are using the Clammr mobile application. The share button posts an audio highlight that is playable natively in Facebook and/or Twitter with a link back to the full podcast. The integration in PowerPress 6.2 provides the ability to add features independent of the plugin and yet be fully integrated. Podcasters simply install the Clammr plugin and enable the function in PowerPress. In its effort to support the power of podcasting, Blubrry is open to working with teams building add-on plugins that are compatible with PowerPress, Cochrane said. 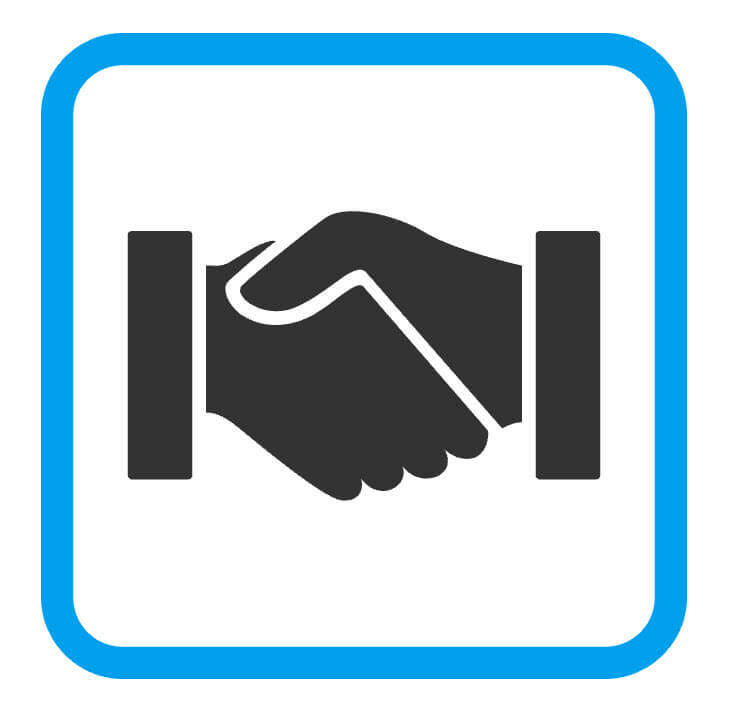 The Blubrry team greatly appreciates Clammr’s support the plugin and hopes for more social platforms to foster relationships such as this. 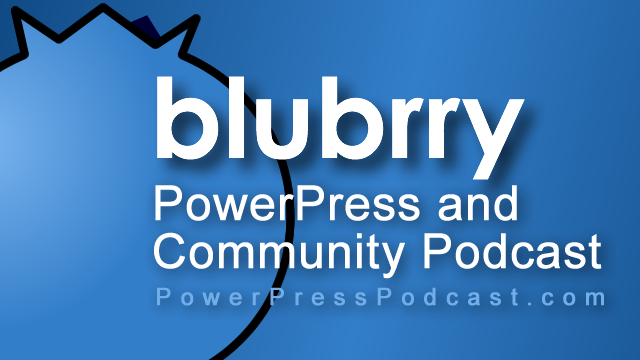 “Blubrry and PowerPress have been trailblazers from the very earliest days when podcasting was born. It’s only fitting that PowerPress is continuing to innovate by enabling podcasters to use Clammr to bring a social and viral element to their audio for the first time,” Parvizi said. Blubrry has added another innovative podcast attribute to PowerPress; podcasters are now able to add donate and monetization links directly to their podcast feed and website. Blubrry is working with Skipcast an iOS podcast application the first of its kind to take donate links from the feed to display the podcasters donate or Patreon link in the application. PowerPress is the first service to provide donate and support links that will be syndicated within the podcast feed. Podcasters will be able to use this new RSS element for donations, promoting their brand via shirts, mugs, etc., even direct links to sponsors of their show. PowerPress users provide the donate URL in PowerPress and it is syndicated along with the podcast information. With a donation link embedded as an element in the RSS feed, third-party sites like Blubrry and podcast apps like SkipCast can now display that link. “Our goal is like Subscribe on Android, other third-party apps will add a donate or support link in their apps /sites. Helping podcasters raise money for their shows on and beyond their websites is a lot easier now,” said Todd Cochrane, CEO of RawVoice and Blubrry. For most, podcasting full-time sponsorship is a challenge so these extra monetization opportunities are a game-changer. This feature guarantees that donate and support links will be circulated to all listeners and that they will know where to donate to the podcast regardless of where they listen to a show. Podcasters can even use the feature to promote affiliate opportunities. 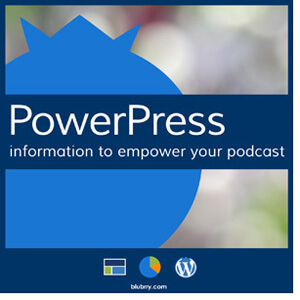 More than 50,000 podcasters use PowerPress for their podcast website, and this feature can easily be enabled with one click. The Podcast Feed markup is part of the RawVoice RSS2 namespace, which is publicly available and can be adopted by any podcast service. Blubrry and SkipCast are proud to be the first podcast companies to provide this tool for podcasters.